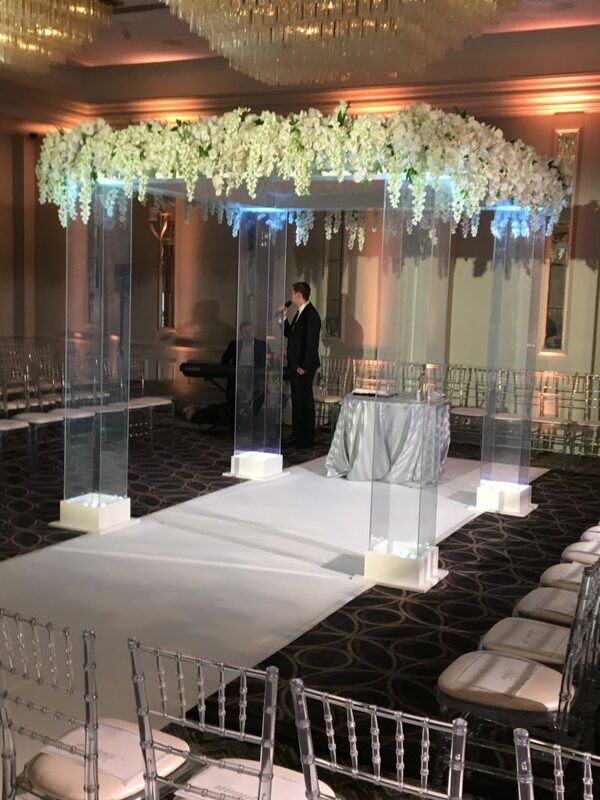 Yesterday was one for the book – we supplied our Perspex chuppah with Circular roof at The Grand Hotel Brighton and just a short while into the ceremony the entire hotel had to be evacuated due to a bomb threat!! The Bride & Groom together with their entire party moved next door to the Hilton where the rest of the ceremony took place. 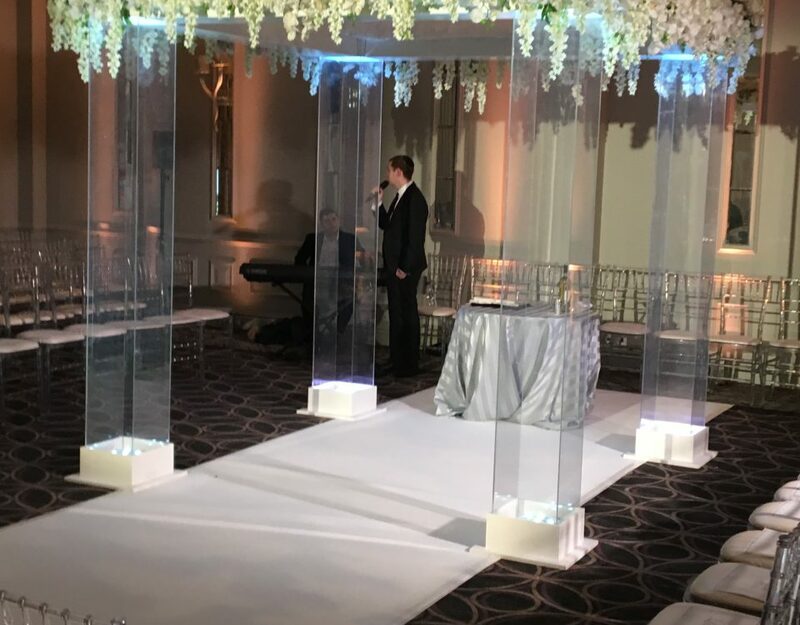 Unfortunately as can be seen from the photo our chuppah was just a bit TOO big to pick up and move as well!! 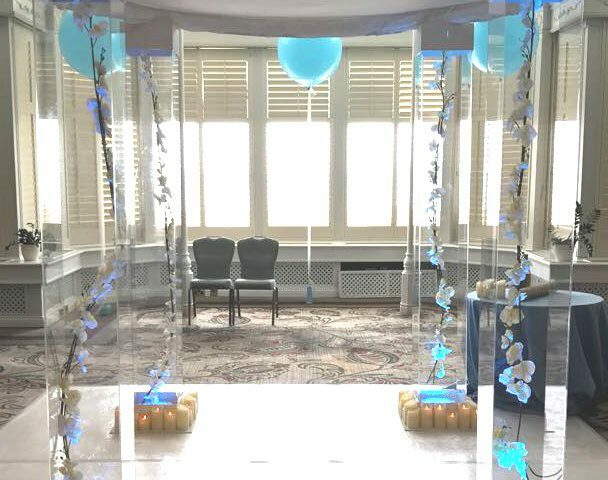 Never mind, at least the couple got to spend a short while under it.